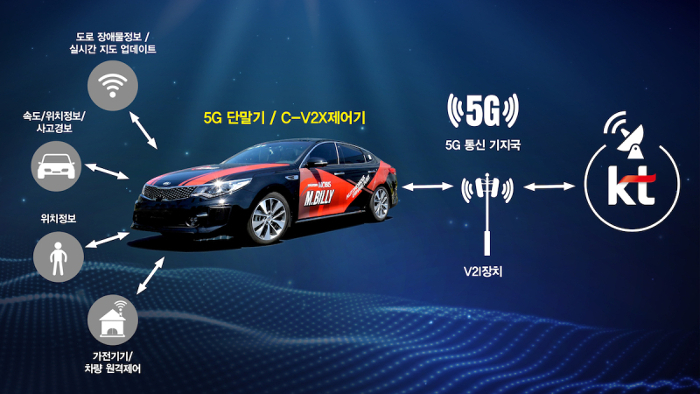 Korean auto maker Hyundai’s Mobis automotive parts division is partnering with the country’s largest telecommunications company, KT Corp. (formerly Korea Telecom), to jointly develop 5G-based cellular vehicle-to-everything communications technology. 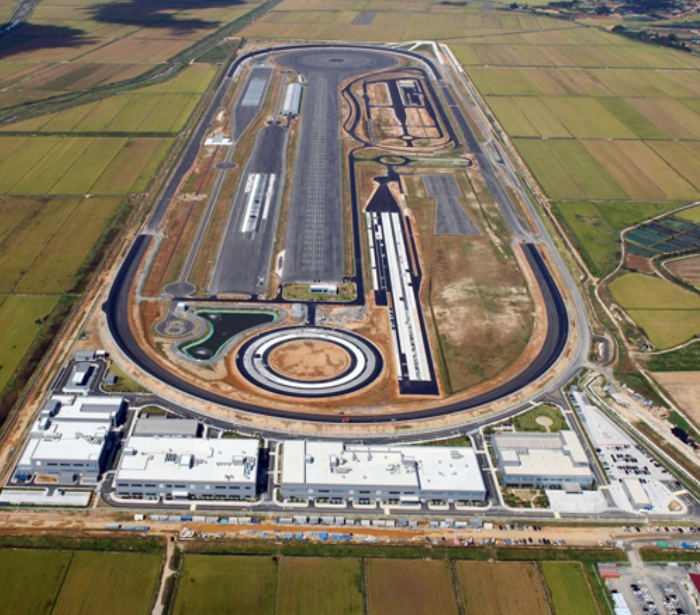 The companies have launched their alliance with KT’s deployment of a 5G communications network and its associated infrastructure at the Hyundai Mobis proving ground at Seosan in South Korea. The partners have started using the new 5G communication network to develop real-time navigation update technology and C-V2X connected vehicle systems, and are planning to create more related technologies by the end of this year. When live traffic information is collected by preceding vehicles, it is sent to the network server, so that the navigation update technology reflects it on the map in real time and delivers it to following vehicles. It is expected to be one of the core technologies needed in the era of connected and autonomous vehicles (CAVs), enabling safer and more efficient driving by continually updating control systems with optimal driving routes. The 4G network-based navigation programs currently offered by carriers and IT companies take several minutes to update the map and recalculate routes. Using a 5G network that is 100 times faster than existing 4G cellular systems, it becomes possible to reflect traffic information in real time. 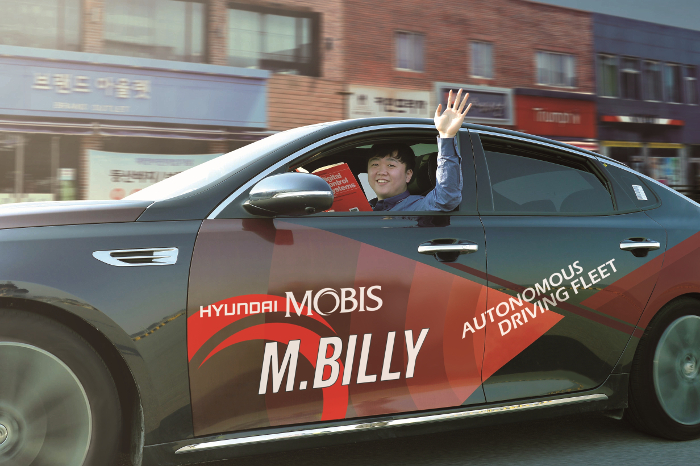 To further this research, Hyundai Mobis is developing a technology that collects real-time traffic information through the various sensors fitted to its ‘M.Billy’ SAE Level 4 autonomous test vehicle, and extracts key information that affects driving, and then transmits it to the server. KT supports connection between the 5G terminals fitted inside M.Billy and the 5G communication base stations. The C-V2X technology uses mobile cellular communication networks to share vast amounts of data in real time between vehicles, infrastructure, pedestrians, traffic management centers and other connected systems, enhancing the safety of automated driving. As part of their technical cooperation in this area, Hyundai Mobis will oversee the control system installed in vehicles, and KT is to develop the technology that uses the traffic information server and the infrastructure to deliver data from the Korea Expressway Corporation, traffic light information, and upcoming sharp curve warnings to vehicles. Starting with these technologies, the two companies are planning to expand their area of cooperation to the development of additional connected vehicle systems and services as the core for future fully-automated vehicles. In particular, it is expected that they will be able to introduce world-class autonomous vehicle technology by combining the low latency and fast processing speed of 5G cellular networks with instant responsiveness and high reliability. “As the connected vehicle is completed with organic connections with the outside world, inter-industry cooperation to preoccupy related technologies is active in this area,” said Jang Jae-ho, head of the Hyundai Mobis electrical and electronics R&D center.